Cut 2 inches of ginger root into coins. Place in pan with water and cover. Heat to a light simmer over medium heat for 15 minutes. 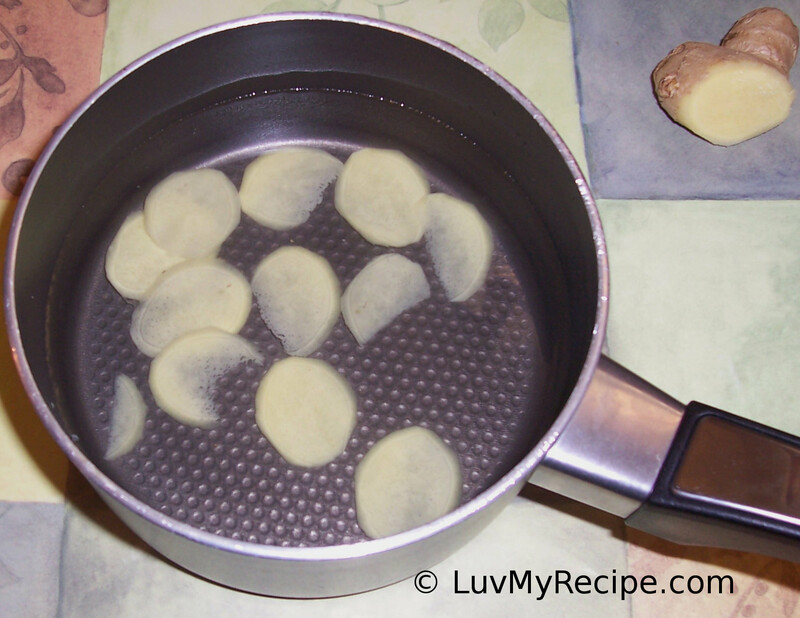 Remover cover from pan and increase heat to Medium-High. Let boil gently for 10 - 15 minutes until liquid has visibly reduced. Once reduced, remove from heat and let cool for 5 minutes. Strain juice into a measuring cup. You should have 1 cup of ginger juice. Add pineapple juice and honey to the ginger juice. Mix until honey dissolves. Pour half of the glaze over ham and reserve the other half for basting. Baste every 30 minutes until ham is done.